Home / FAQ / What is a health insurance claim? A health insurance claim is an action in which a health care provider such as a physician or hospital applies for a payment from an insurance company. The application for a payment usually takes place after the provider has rendered a service. Are you searching for health insurance rates and coverage? Enter your zip code below to get started today! In the majority of cases, the health insurance claim will be for the entire cost associated with the service performed by the health care provider. However, the majority of the time the insurance company will not pay the entire amount that is billed. A co-pay is the portion of the cost that is your responsibility as a patient. The co-pay amount depends on several factors, including the service that is performed, the total cost of the service, and the type of insurance coverage that you have. 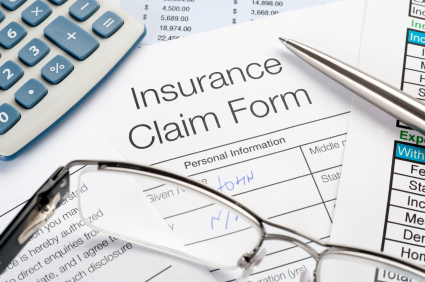 Not all insurance claims require a co-pay from the individual. Certain services, such as a well-child visit, do not require a co-pay, yet are still submitted by the provider as an insurance claim. The majority of services where a co-pay is not required are preventative services. This is to ensure that the patient will get the service performed and will not miss the appointment or procedure because of a required out-of-pocket cost. Are all services covered by health insurance? No, not all services performed by a health care provider are covered by health insurance. The types of services that are covered depend on the type of insurance coverage you have as well as your insurance company. Not all insurance companies cover the same treatments and procedures. State and federally funded programs such as Medicare and Medicaid will typically provide reimbursement from a health insurance claim at a lower amount than private insurance companies. This also leads to some providers limiting their services to patients that have certain insurance. For example, some primary care physicians will not treat patients that only have Medicaid coverage. This is because the reimbursement rates are so low that the doctor can actually lose money for providing treatment. Do I have to be pre-approved before being treated at a doctor or hospital? Only in certain instances do you have to be pre-approved by your insurance carrier. This is also known as prior authorization. For example, if you are going to your primary care physician for a check-up, you do not need to obtain approval. However, certain procedures that are more expensive and out of the ordinary might need to have approval before your insurance company agrees to cover part of the costs. This is because the insurance company wants to ensure that the procedure or treatment is completely necessary and all other options have been exhausted before agreeing to pay for additional care. Are prescription medications considered health insurance claims? Yes, there are some similarities between a health insurance claim and a pharmacy claim. In both cases, the insurance company covers a portion of the cost. Additionally, the patient is responsible for a co-pay whether going to the hospital or picking up a prescription medication. The main difference is that prescription medications are usually set up in three different categories, Tier 1, Tier 2, and Tier 3. Each of these Tiers has their own established co-pay, ranging from $10 to $40. In most cases, the more expensive the prescription drug, the higher the co-pay. There are instances when the prescription medicine co-pay can be less than $10, and may even not have a cost associated with it. On the other hand, some insurance companies will deny health insurance claims made for prescription medications. Some insurance companies will also require a pre-authorization for certain medications. Again, these cases are usually initiated because of the cost associated with the medication, rather than simply based on the patient and their illness. Insurance companies can approve or deny a medication coverage request simply because of cost. Addition, health insurance companies can approve a generic prescription medication rather than a brand name because of the additional cost that is typically associated with generic brand medications. Do I have to carry health insurance? No, it is not required that you carry health insurance and in most cases, a hospital cannot deny you medical care simply because you do not have the ability to pay for it or because you do not have coverage. Certain states require that emergency departments treat patients no matter what type, if any, of health insurance coverage they have. However, in most cases, these individuals will not be able to obtain preventative services without some sort of insurance coverage or the ability to pay for the care on their own. Can’t find health insurance rates? Enter your zip code now and see health insurance quotes instantly!